Funiculare Lugano Stazione – Città. All Change in the Chablais. 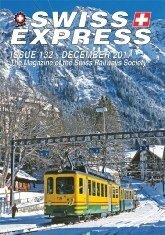 The Blausee-Mitholz Disaster – Christmas 1947 20. Walking with the RhB –Part 1. Welcome to Seelisberg “English Lady”! Through Ticket to the Bern Bear Pits. Switzerland – A Different Country. A Funi for the Future. Ivan Rodrigues from the STC Writes. Albula Tunnel – ‘Sprinters’ & ‘Shuttles’. Times Past – Luzern 1937. Lost Lines from Le Léman. A Commune Takes Pride in its Past. Switzerland 1902 – It really was a different country! A New Diamond For Luzern. 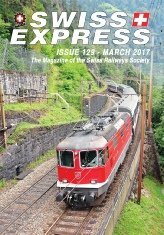 Railway Preservation In The Suisse Romande. Tracing A Ticket – Part 2. Walking With The RhB –Part 2. 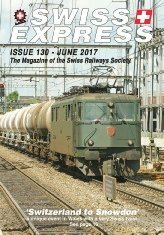 Mr Barbey’s private railway: the Yverdon-Ste-Croix. To Switzerland – by Bendy bus! 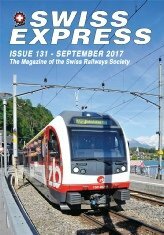 The Liverpool Connection and Switzerland’s First Main Line. The Aigle Ollon Monthey Champéry Bahn. A ‘Railway’ Bridge with a difference. Tripping Around on Ticino Transport. DSF-Koblenz Celebrates Swiss National Day. Rob Morrey’s “End of the Line”.